Whether it’s the Sunday circular or one of the great online coupon sites, there are plenty of places to find great deals for your grocery list. But wouldn’t it be easier if you could get them all in one place? That’s where grocery apps come in. The best ones let you find coupons available in your area, comparison shop between retailers, send shopping lists to family members and save coupons to your store loyalty card, so don’t have to carry paper coupons with you. Find coupons available in your area, scan barcodes to easily add items to your grocery list and sync your list with other household members with Grocery IQ. What makes Grocercy IQ great for couponers is the fact that you can select your coupons, email to yourself or print them from the app and they’ll automatically appear on your grocery list. 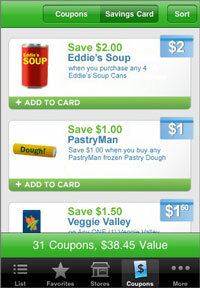 No need to make a separate note to make sure you use your coupons. 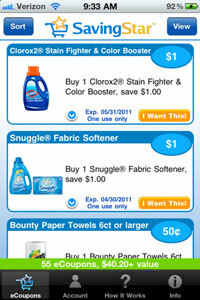 When you’re at the store, simply check the items off your list, including using your coupons. Free for iPhone and Android. 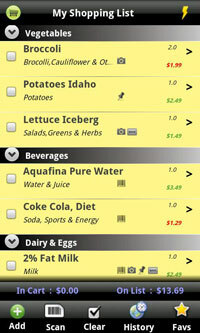 Grocery King like app for iPhone? The Grocery King app sounds exactly like what I’ve been looking for. Too bad it’s only for android. Any idea if there’s a similar app for the iPhone? 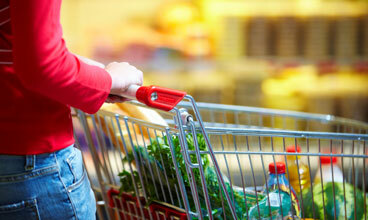 There are tons of grocery list apps, but I want one that will tell me the cheapest store for each item on my list.